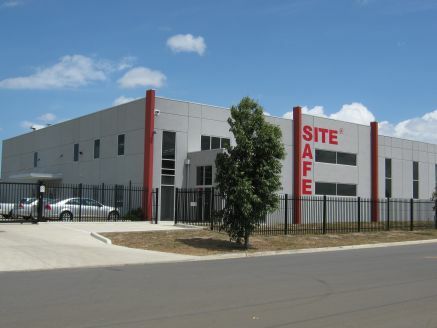 SITE SAFE is proud to be a leading provider of secure site boxes and storage containers in Victoria. A privately owned Australian Company with headquarters situated in Melbourne, we’ve been offering storage units and shipping containers in Victoria for hire and sale since 1974. Thanks to our high-quality products, we’ve established ourselves as a trusted supplier for a number of industries, including construction and government. We’re also proud to have been one of the first companies offering shipping containers in Vic, giving us the necessary expertise and experience to deliver a comprehensive range of solutions. Our range of products includes maximum security site boxes that are built to deter thieves. Because we understand the importance of keeping your belongings secure, our storage containers in Victoria come with our unique patented locking system. When you choose SITE SAFE, you can rest assured you’ll receive a storage solution that will offer maximum protection and deliver on performance. No matter why you need a storage or shipping container in Vic, SITE SAFE is sure to have a solution that works for you. From small units for small items through to larger units that can accommodate heavy machinery, we have everything you need. We can also provide specialised units such as gas bottle stores, tool boxes, gang boxes, and dangerous goods units. Whatever your needs entail, you can rely on SITE SAFE to keep your equipment and valuables safe, preventing damage and theft and saving you from down time and replacement costs. To learn more about our range of new and used shipping containers in Victoria, get in touch with the team at SITE SAFE today. We’re more than happy to talk you through our range of solutions and help you select the one that’s right for your needs.